Keep still, hoomin. You can haz an extra carrotini after the vet works you over. PS: Lewis says, "The 25th marked the first anniversary of Duke's passing. 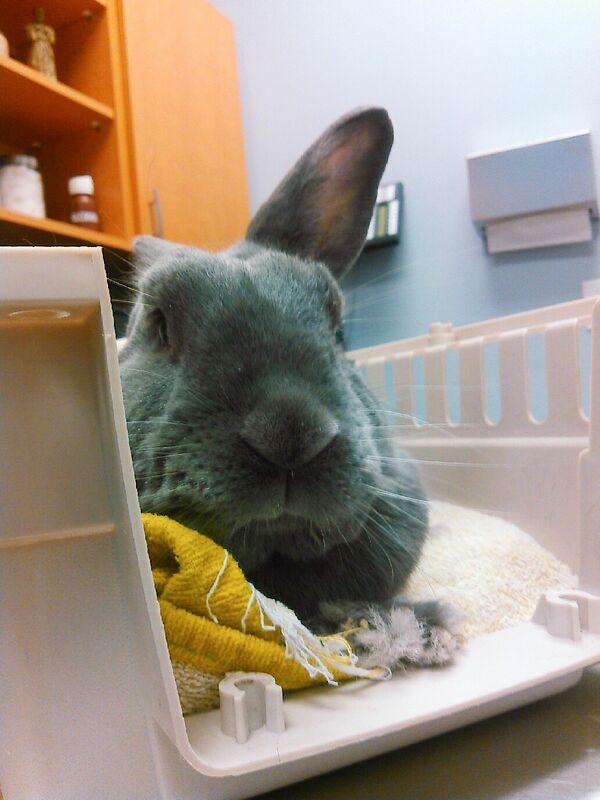 He was at the vet in this picture, perhaps its why he looks so downright disapproving." I hear that the vets over the Rainbow Bridge are there to serve carrotinis.